There is an outdoor heat assisted pool (closed in winter) and a tennis court. Lake fishing is available by arrangement. Behind the Castle is a games room with a full sized snooker table, table tennis and table football. Children must be supervised when using the games or facilities. Guests are welcome to wander through the gardens and enjoy the mature trees, statues, topiary, streams, lake and walks. 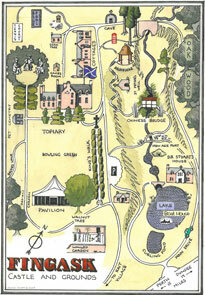 The famous grounds around the Castle were laid out in the 17th Century by ancestors of the present owner. 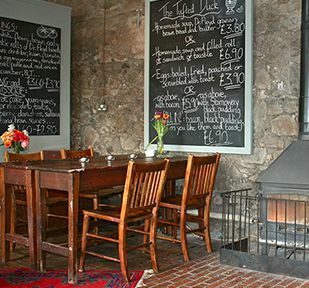 Fingask has teamed up with Tim Hardie to provide modestly priced pre-ordered meals in a charming eatery, ‘The Tufted duck’ within easy walking distance of the estate.